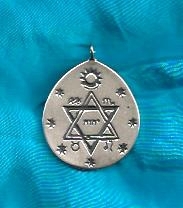 Cast Sterling Silver pendant with engraved Brotherhood of Light symbol. The pendent measures 1" wide by 1 1/4" long from the top of the bail. Silver vibrates to the energy of the Moon. Combine with your most harmonious gemstones to create a personalized amulet or talisman. See the Sacred Tarot for insight on choosing appropriate stones. According to Brotherhood of Light tradition, this emblem symbolizes the path of Initiation. It represents the Royal Path beginning with differentiation (birth) in the Celestial realms; its involution into the material world to gain consciousness; and, its return path to the Celestial where it will "consciously" reunite with its soul mate to join in the performance of The Great Work. Many are familiar with the images of the interlaced trines and recognize the ensemble as the "Star of David." Actually, the interlaced trines predate Judaism. The Brotherhood of Light, traces its lineage as far back as Egypt, claiming the Hermetic tradition. 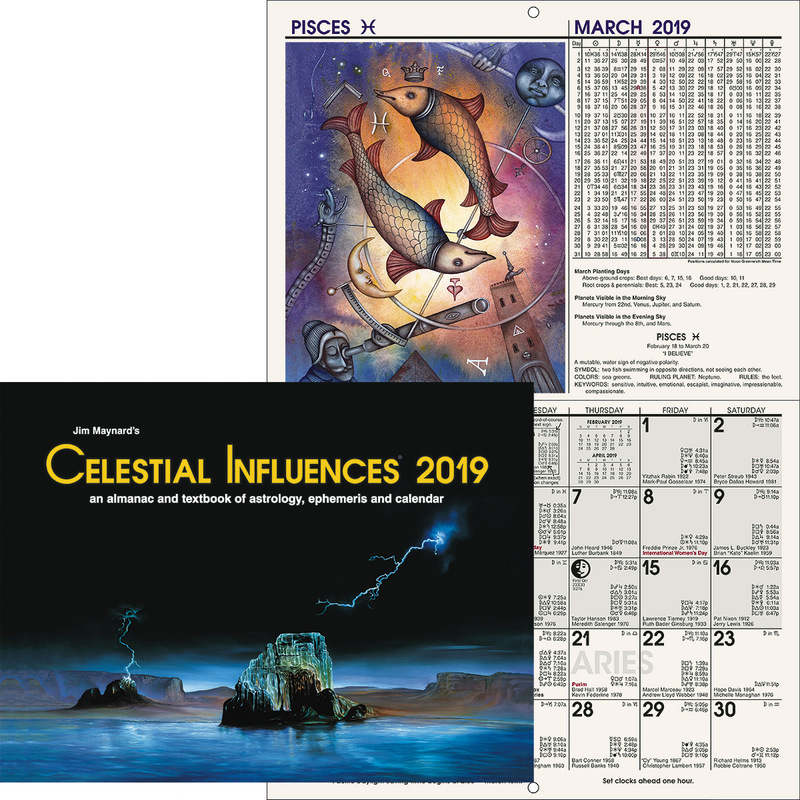 It is from this same tradition that Moses, the great "law giver" of the Jewish tradition, received his Initiation and from whence the interlaced trines came to the Jewish tradition. The two interlaced trines signify the involution and evolution of the soul through the Cycle of Necessity. The down-pointing trine, dark in color, indicates the descent of the soul into material conditions for the purpose of gaining necessary experience. The up-pointing trine, light in color, indicates the ascent, or evolution of the soul, back to the realm of spirit after gaining experience in matter. Inside the interlaced trines is the word of Deity, Jod-He-Vau-He, written in square-formed Chaldean letters. Thus written, it signifies the belief that there is a Super-Intelligence who interpenetrates and exercises a guiding power over the whole universe, and sets forth the four universal principles through which this Super-Intelligence always operates. The joined sun and moon at the top of the symbol indicate that spirituality may best be reached, and still further evolution in spiritual realms accomplished, through the marriage of a male and a female soul. The three stars at the right of the emblem represent the 21 branches under which the whole of occult science may be classified; and, which must be mastered by the candidate for Adeptship. The upper seven point star at the right represents the seven branches of Astrology, the seven point star at the right, in the middle, indicates the seven branches of Alchemy; and the seven point star at the right, below, denotes the seven branches of Magic. The three stars at the left of The Church of Light Emblem represent the twenty-one Lucidic Degrees or Arts which must be mastered by the candidate for Adeptship. The upper seven point star at the left typifies the Sevenfold Constitution of human life. The middle seven point star at the left - the Seven Soul Senses to be developed in human life and the lowest seven point star at the left represents the development of the Seven Physical Senses. This symbolizes the basis for the Twenty One Lucidic Degrees. The seven point star at the bottom of the involutionary trine in The Church of Light Emblem typifies the Seven States of Consciousness attained by the perfect human. The seven stars and the astrological symbols around the outside of the interlaced trines indicate the belief that astrological energies powerfully influence all life. Knowledge of these forces will enable the aspirant to avoid many misfortunes, as well as guide the development of personal talents, thereby successfully advancing spirituality and at the same time enabling the individual to contribute his or her utmost to universal welfare. 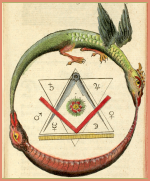 Course Book 12, Volume 2, Natural Alchemy: Evolution of Religion, by C. C. Zain, for an explanation of the origin and historical development of this symbol. The Outline of Initiation which is awarded to all new members. 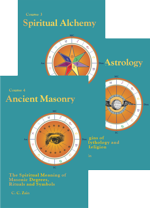 Course Book 2, Astrological Signatures, "Mission of the Soul."